This week we will be looking at John 16:20-22. In this passage, Jesus foretold about the disciples’ great grief that would be turned into stunning joy. 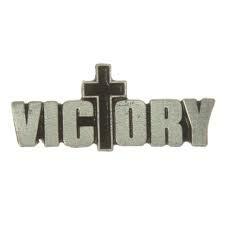 Out of the jaws of defeat, Christ’s resurrection was a life-changing victory. Jesus transformed the cross from a memory of torturous death into a living memorial of triumph. Even now, believers have periods of sadness and failure, but there is a future of eternal joy up ahead.